Summoned to their magnificent family home on the shores of Lake Ontario--a paradisiacal mansion perched on an escarpment above the city--three adult sisters Georgina, Jax, and Pippa, come together in what seems like an act of family solidarity. Pregnant and unwell, the youngest, Pippa, has left her husband and four young children in New Zealand and returned home to heal. But home to this family means secrets, desire, and vengeance--and feasting on the sexual appetites and weaknesses of others. Each daughter has her own particular taste, and overlaying everything is their parents, with unquenchable desires and cravings of their own. As the affluent family endures six intense days in one another's company, old fissures reappear. When long-buried truths finally come to light, the sisters and their parents must face the unthinkable consequences of their actions. 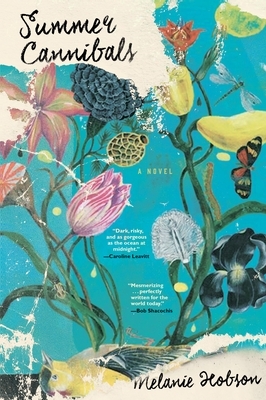 Summer Cannibals is a riveting, psychological story of lust, betrayal, and family, from a brilliant new voice in fiction.